Adobe Spark Post is a new Adobe app for mobile devices that lets users easily create attractive graphic designs. The number of tools Adobe offers for mobile devices keeps on growing. 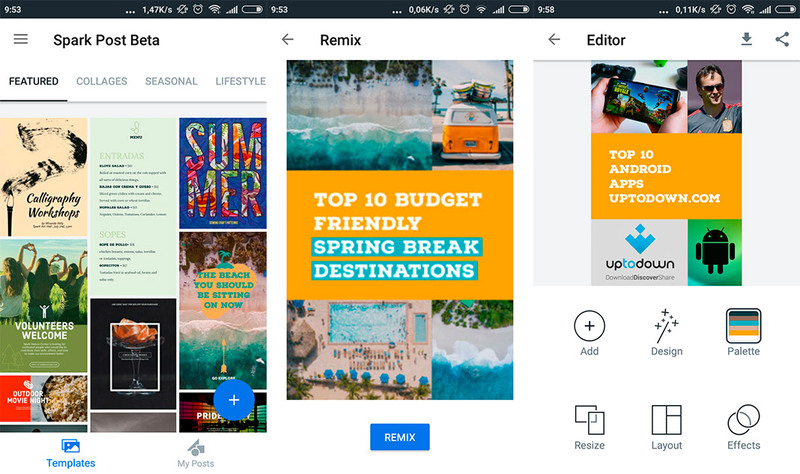 Just a few months ago, Adobe made some important improvements to Photoshop Express and Lightroom, and now there’s a new app for Android: Adobe Spark Post is an app for creating professional looking graphic designs easily. It’s an app that wants to become the ideal tool for every self-respecting Online Community Manager. 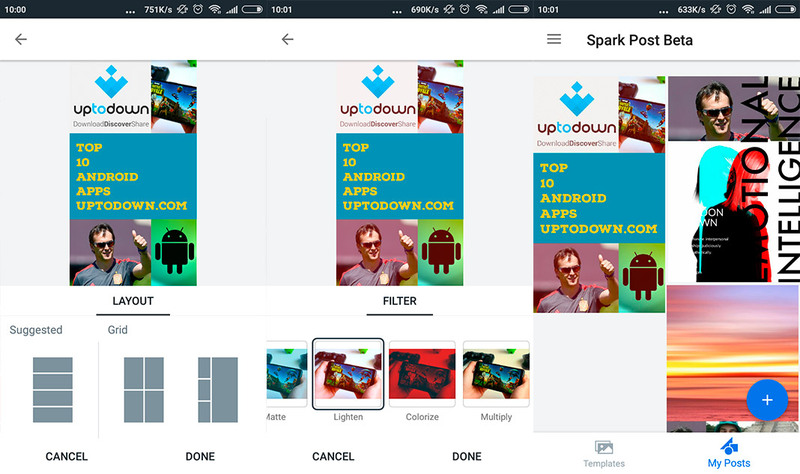 Lately, a good number of apps are being created which are geared toward providing layouts to be used on social networks. But the problem with a lot of them is that they’re either low quality, offer limited designs options, and/or they overwhelm us with excessive ads. However, products from Adobe tend to stand out for their high quality, lack of ads, and for offering tons of options. And Adobe Spark Post does not disappoint, making it easy to create nice looking promotional images. Adobe Spark Post sets you up with a good number of layouts that you can use from the moment you open the app. All sorts of virtual signage and flyers with different themes that you can edit in just a few steps and without needing to be a multimedia editing expert. This is the main goal of Adobe Spark Post: to make it possible for any user to make attractive visual compositions. Whether it’s using one of the layouts as a base or starting from scratch. All you have to do is choose the images you want to add to the design and soon you’ll have an image that’s worth sharing. The possibilities Adobe Spark Post offers are immense, given that you can modify each part of the composition so that it fits your needs: add and edit text, apply visual effects, organize the images in your collage however you want, and more. There are tons of options available, but you won’t feel overwhelmed by them at anytime since the whole app offers a simple and organic experience. Possibly one of the most important aspects is the ability to change the size of your design according to the sizes used in different social networks. 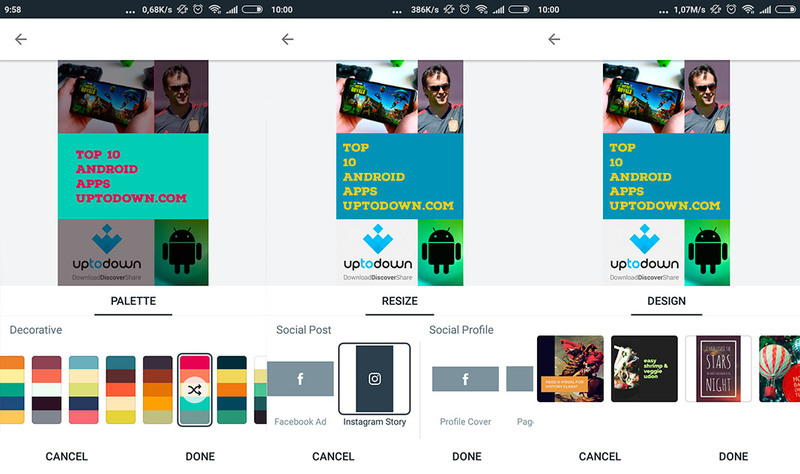 In just a few seconds, you can have your main banner for Facebook, a post on Pinterest, and a Story for Instagram ready to go. 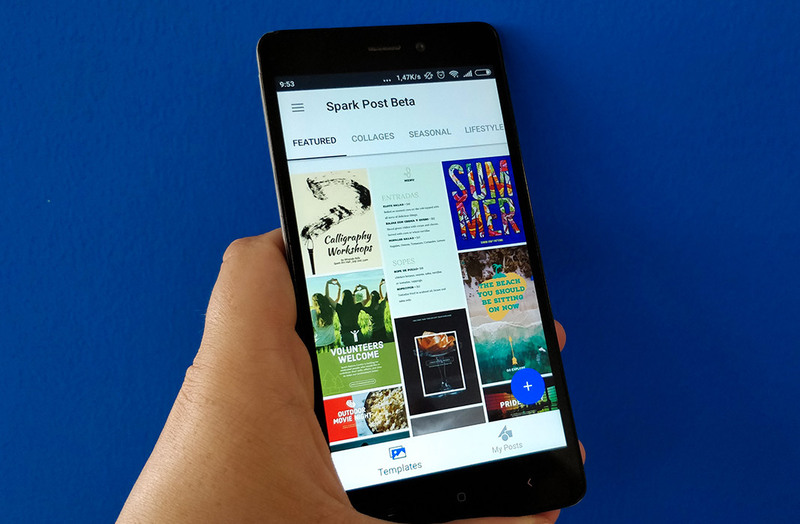 The appearance of a new Adobe app is always a great thing for the Android ecosystem. This type of complete and powerful tool increases the possibilities of our smartphones and tablets to new limits that were unimaginable just a few years ago. Adobe Spark Post stands out for these features and for its extreme ease of use in creating more or less professional designs quickly. Of course, it all depends on how much time you’re willing to invest in it, but the availability of a tool like this to all audiences is always good news. Especially for the fact that it lets us create these types of graphic designs no matter where we are.